By Eva Larkin, a That Patchwork Place book. Turn simple lines into fabulous designs! Start with basic loops, ovals, diamonds, triangles, and other familiar shapes and pair them in unique combinations to create dozens of block-based designs. Step-by-step instructions, practice exercises, and loads of hints and tips make it easy to achieve great results. 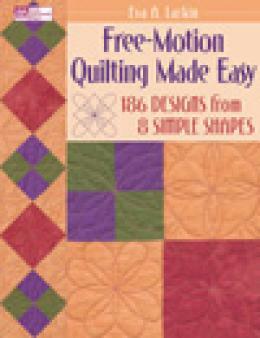 Now you can create your own quilting designs�they don�t have to be complicated or intricate to be effective!